Consists of or comprises immoral, deceptive, or scandalous matter; or matter which may disparage or falsely suggest a connection with persons, living or dead, institutions, beliefs, or national symbols, or bring them into contempt or disrepute . . . . (Emphasis added). 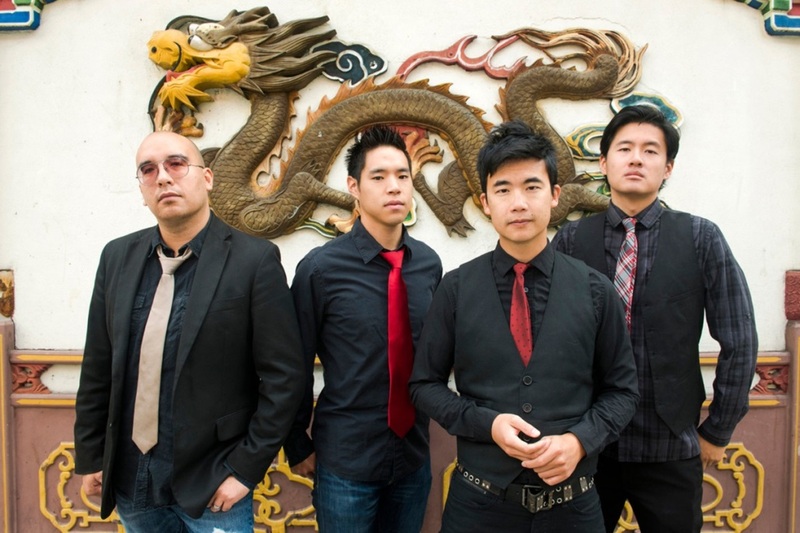 Although “slants” has been used as a derogatory term for persons of Asian descent, the band leader Simon Tam wanted to “reclaim” that term as the band’s name to drain it of its denigrating force “much as some gay people have embraced the term ‘queer.’” He appealed the refusal to the Court of Appeals for the Federal Circuit, which held, in split decisions, that the disparagement clause was unconstitutional under the First Amendment’s Freedom of Speech clause. The Government sought review by the U.S. Supreme Court, and the Court unanimously affirmed the holding that the disparagement clause is unconstitutional (with several opinions giving different reasoning). Writing for the Court, Justice Alito rejected Tam’s argument that racial or ethnic groups were not “persons” within the meaning of the disparagement clause, so the Constitutional status of that clause need not be decided. That trademarks are government speech, which is outside of the scope of the First Amendment, not private speech. The Court colorfully said that if this is government speech, “the Federal Government is babbling prodigiously and incoherently . . . . [W]hat does the Government have in mind when it advises Americans to ‘make.believe’ (Sony), ‘Think different’ (Apple), ‘Just do it’ (Nike), or ‘Have it your way’ (Burger King)? Was the Government warning about a coming disaster when it registered the mark ‘EndTime Ministries’?” Further, other systems of government registration could easily be characterized the same way, the most worrisome being copyright registration, which would constitute a huge and dangerous extension of the government speech doctrine. The Court pointed out that trademarks often have an expressive content. That trademarks are a form of government subsidy for speech expressing a particular viewpoint. The cases that said the Government is not required to subsidize activities it does not wish to promote were distinguished because they involved cash payments or the like. That the issue should be tested under a new “government-program” doctrine, but this relied on cases the Court said were far removed from the registration of trademarks. The Court did not feel the need to decide whether or not a trademark is commercial speech, which is entitled to a reduced degree of protection. It noted that even regulation of such speech must serve “a substantial interest” and must be “narrowly drawn.” The Court found that the disparagement clause did not meet even this relaxed standard. Finally, the Court rejected the Government’s claims that the disparagement clause serves two interests: (1) the encouragement of racial tolerance; and (2) the protection of the orderly flow of commerce. The Court rejected both interests. Justice Kennedy (joined by Justices Ginsburg, Sotomayor and Kagan) concurred. He concluded that the disparagement clause is the essence of viewpoint discrimination. “By mandating positivity, the law here might silence dissent and distort the marketplace of ideas,” tying censorship to the reaction of the speaker’s audience. This remains of serious concern in the commercial context. Justice Thomas also concurred. He continued to believe that when the government seeks to restrict truthful speech in order to suppress the ideas it conveys, strict scrutiny is appropriate, whether or not the speech in question may be characterized as commercial. Justice Gorsuch did not participate in this case. Are the prohibitions against registering an immoral or scandalous trademark similarly unconstitutional? This seems likely in view of the Court’s statement that “[i]f the mark meets the Lanham Act’s viewpoint-neutral requirements, registration is mandatory.” This issue is likely to be decided in In re Brunetti (No. 15-1109), presently suspended by the Court of Appeals for the Federal Circuit, involving the refusal to register FUCT for athletic apparel as scandalous or immoral. Although Section 43(a) of the Lanham Act provides a cause of action for unregistered trademarks, the Court did not decide whether Tam could bring suit under this section if his application for federal registration had been lawfully denied under the disparagement clause. The Court said that this case did not present the question of how other provisions of the Lanham Act should be analyzed under the First Amendment. It said, for instance, that it is well settled that, to the extent a trademark is confusing or misleading, the law can protect consumers and trademark owners. Further, this case did not involve laws related to product labeling or otherwise designed to protect consumers, nor did it speak to the validity of state unfair competition provisions or product libel laws. Perhaps the most famous recent case involves the cancellation of the Washington football team’s REDSKINS mark on the ground that it disparages native Americans. That case is in suspension before the Court of Appeals for the Fourth Circuit pending the decision in the Tams case. Pro-Football v. Blackhorse (No. 15-1874). There are many other pending applications that also have been placed on hold by the USPTO since March 10, 2016, in anticipation of this Supreme Court decision. Presumably, they all will now be passed to publication for opposition purposes. Finally, we may see a flood of new applications for marks previously refused or cancelled as being disparaging, or for marks that might have been so characterized so registration was never sought. Registration on the principal register (1) “serves as ‘constructive notice of the registrant’s claim of ownership’ of the mark”; (2) “is ‘prima facie evidence of the validity of the registered mark and of the registration of the mark, of the owner’s ownership of the mark, and of the owner’s exclusive right to use the registered mark in commerce on or in connection with the goods or services specified in the certificate;” and (3) “can make a mark ‘incontestable’ once a mark has been registered for five years.” Registration also enables the trademark holder “to stop the importation into the United States of articles bearing an infringing mark.” (internal citations omitted).